Cologne, 1617. A view of Polná, on the trade route from Prague to Vienna. Stragely the town belonged to Moravia and its castle to Bohemia. Antwerp, Plantin, 1593. 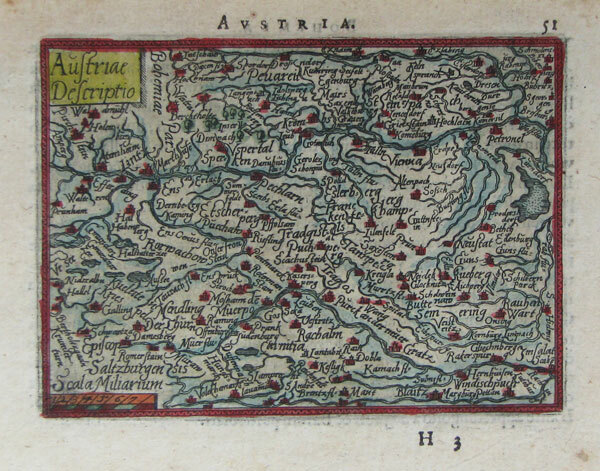 Minature map of Austria, engraved by Philip Galler for Ortelius's Epitome, this example for an Italian-text edition, translated by Giovanni Paulet. 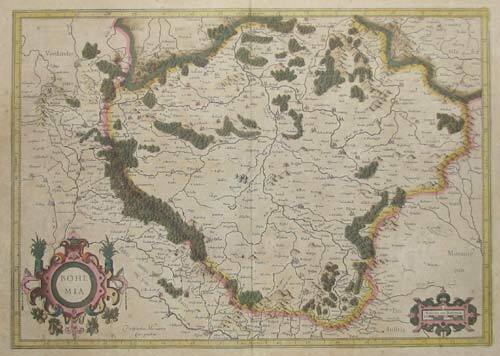 Amsterdam, c1606, A fine miniature mapof Austria, printed from the printing plate used to print this map for the Bertius atlas, with the narrow borders without longitude and latitude marks. Paris, 1752. Northern Austria, marking Vienna. The title cartouche features two discarded turbans, representing Austria's importance in Europe's defence against the Ottomans. Nuremberg, c.1720. 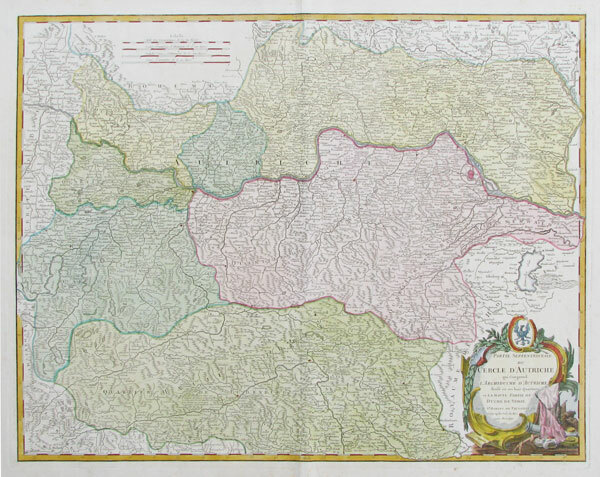 Map of Carinthia in the Austrian Alps, with a propect of Klagenfurt and two other vignette scenes. Antwerp, Plantin, 1593. 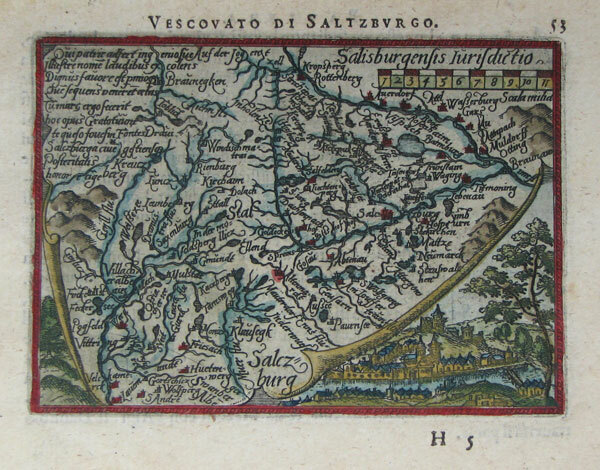 Minature map of Salzburg in Austria, engraved by Philip Galler for Ortelius's Epitome, this example for an Italian-text edition, translated by Giovanni Paulet. The map is unusually decorative for the series, appearing to be on a tromp l'oeil scroll above a view of the city of Salzburg. London: Baldwin & Cradock, 1833. Detailed map of Vienna, with elevations of important buildings underneath. London, c.1785. 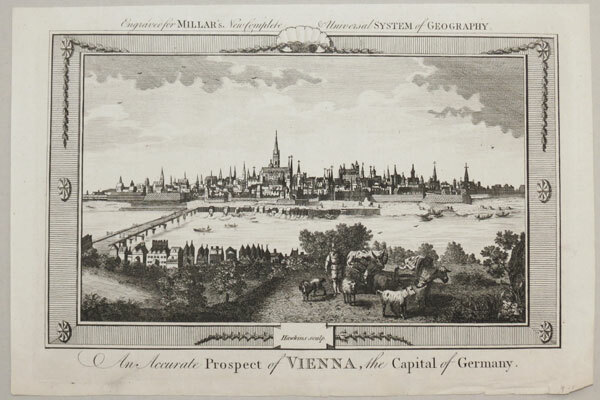 A prospect of the Austrian city of Vienna, capital of the Germanic 'Holy Roman Empire'. Engraved by Hawkins for 'Millar's New Complete & Universal System of Geography'. Nuremburg: Homann Heirs, 1775. 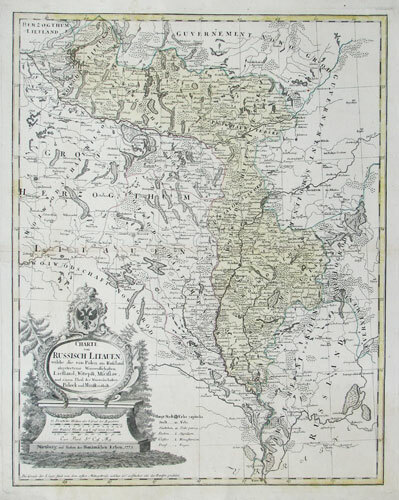 Map of eastern Belarus, including the the counties of Vitebsk, Polotsk and Mstislavl, seized three years earlier by the Russians in the First Partitiion of Poland. Marking the Dnieper and Dwiner rivers, with the towns of Polack, Orsha & Mogilev. Over the borders are Smolensk in Russia and Kiev in Ukraine. Paris, c.1795. Detailed map of the environs of the Black Sea. Amsterdam, Jodocus Hondius, 1613. 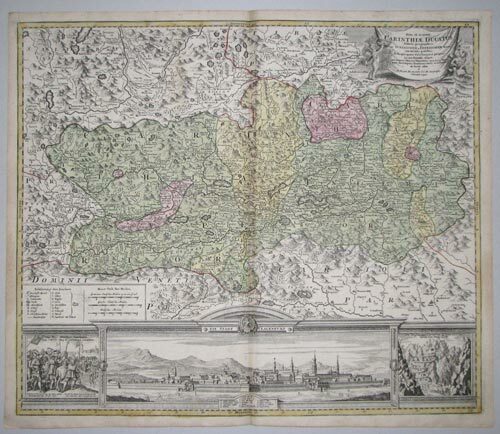 Decorative map of Bohemia by the creator of the famous 'Mercator's Projection'. Basle, 1628, German edition. Bohemia, centred on Prague. London, William Humble, 1646. 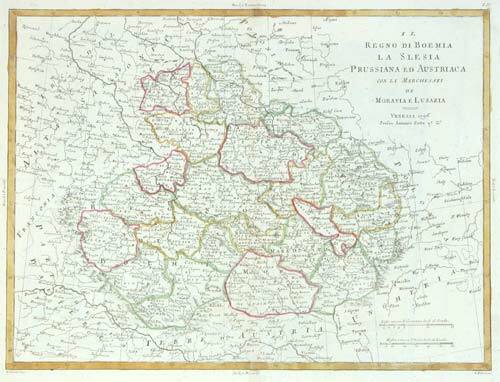 A decorative miniature map of Czech Republic, engraved by van der Keere for the Speed 'Epitome' atlas. Amsterdam, c.1648, German text edition. Coloured. 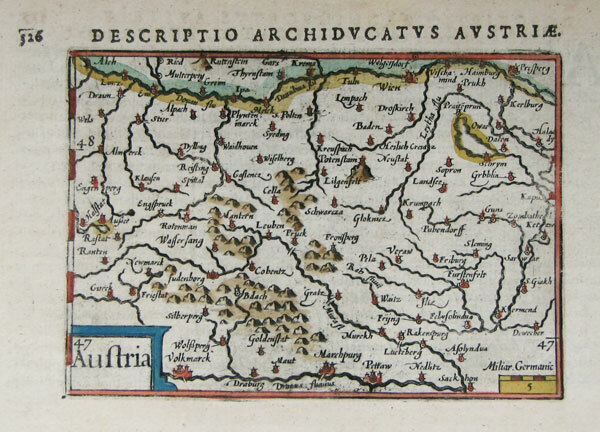 Miniature map of Bohemia engraved for the 1628 edition of the 'Atlas Minor'. Paris, 1683. Plan of Prague. In 1689, soon after publication, a great fire, blamed on French spies, devastated the city. London, 1742. A plan of the Austrian siege of the French troops holding Prague, which they had taken in 1741. The French managed to slip away. London, 1759. 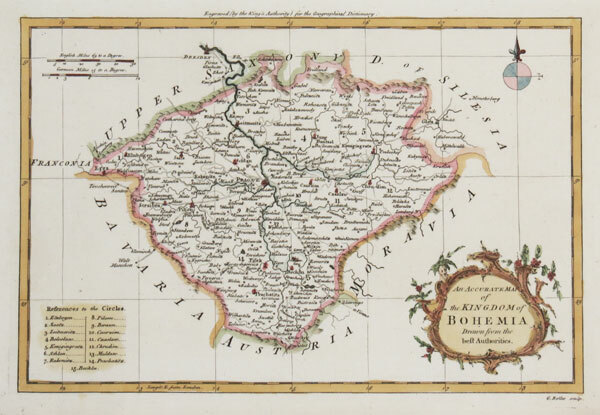 Map of Bohemia, now the Czech Republic, 'Engraved (by the King's Authority' for the Geographical Dictionary'. Padua, Lasor à Varea, 1713. A map/view of Prague.